Looking to do something different with family, friends, or colleagues on a Sunday? Now you have the opportunity to escape from the rush of modern day life. Take a step back into history by boarding the Atlantic Rail for an unforgettable return trip aboard a beautifully restored vintage steam powered train from Cape Town to Simon's Town through awe-inspiring countryside. The scenic 6-hour journey leaves Cape Town and travels through Muizenberg, False Bay, St James, Kalk Bay, Fish Hoek and Glencairn towards Simon's Town. Here you will have an opportunity to grab a bite at one of the iconic restaurants or cafes, stroll along the beach or explore for a while before boarding the train for the trip back to Cape Town. On-board refreshments are also available. Hop on the Atlantic Rail and blow off some steam with a nostalgic day trip aboard an extraordinary steam locomotive to Simon's Town and back to Cape Town. As can be expected, these trips are extremely popular and tickets are sold as soon as they become available. Book now to avoid disappointment! This package includes a return journey for two adults and forms part of a group (no private cabins). Events take place on set dates. Please note that trips are seasonal. 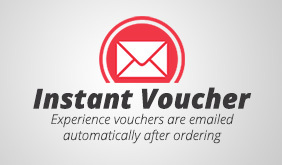 Please contact us via email at info@celestialgifts.co.za to enquire about upcoming dates before purchasing your voucher.